Among U.S. Jews, 64% support Obama, down from 74% in 2008 and similar to what Dukakis got in 1988. U.S. President Barack Obama currently has the support of 64% of Jewish registered voters, according to the Gallup polling agency. This is 10% less than the percentage of Jews who voted for Obama in 2008, and is similar to the percentage of Jews who voted for Michael Dukakis when he contended for the presidency against George Bush in 1988. Republican Mitt Romney enjoys 29% support among Jews. A recent poll by the liberal Jewish Workman's Circle has shown even worse numbers for Obama, yet how the numbers are to interpreted depends on the interpreters. 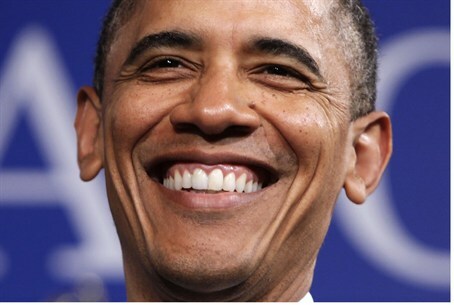 Some Democrats see the latest Gallup poll as a sign Obama's support among Jews is now rising. The conservative Hot Air blog points out, however, that since 1988, all Democratic nominees have received more than 64% of the Jewish vote: "…Kerry, Gore, and Clinton all cracked 75 percent, and Jimmy Carter raked in 71 percent when he was elected in 1976. The only nominees who failed to reach 70 percent in the past 35 years were, er, Dukakis, Mondale, and Carter in 1980, the last of whom nearly lost the Jewish vote to Reagan." The Republican Jewish Coalition notes the 29% of Jewish voters who support Romney, represents the “highest level of Jewish support for a Republican presidential candidate in 24 years.” RJC Executive Director Matt Brooks said that if the numbers hold in November, they would spell "a disaster" for Obama and his party. However, Gallup polls also indicate that Obama held only 62% of the Jewish vote in June of 2008, before the final number rose to 74% in November. A similar dynamic could kick in this year, too.